This olive oil cake has become one of my new favorites. It's easy to make, delicious and perfect for anyone who doesn't want to eat butter (Sorry, not a vegan recipe). I've used regular second pressing olive oil for this cake and it's very good. In general, I would not use Extra Virgin olive oil unless you use an infused or flavored olive oil. The extra virgin makes it a little too green/strong/grassy tasting. For this cake, I used a Blood Orange infused extra virgin olive oil from Ah Love Oil, a shop near my house. They have a really great assortment of oils, vinegar and jams (like the amazing dark chocolate balsamic). 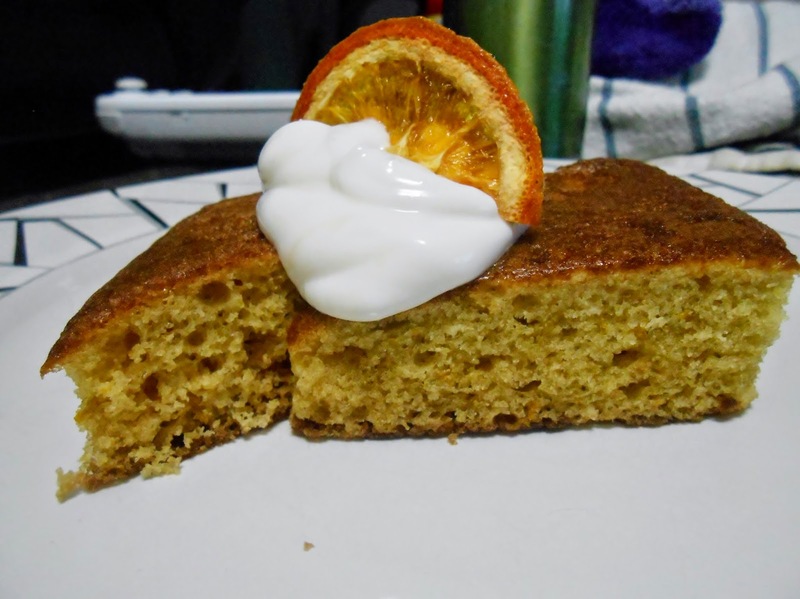 This cake is garnished with Greek yogurt and a dehydrated orange slice. It would also be great with orange scented whipped cream and berries. Mix together yogurt, sugar and eggs.